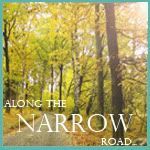 Along the narrow road.....: It's GIVEAWAY Time!!!! It has been a crazy couple of months. We have been denied grants, we have had only one donation in the past 5 months, we barely broke even on our shirt sales and our puzzle is not even close to being finished. After reading all that you may think I am trying to throw some sort of pity party or to make everyone feel sad for me. NOPE! Not at all, I honestly am okay with it all, I wanted to write it to encourage anyone that may be in the same situation like us, that God will bring it, when it is our time. I truly believe that. I do however feel like our referral will be soon, so the good Lord told me I should do a giveaway. Who doesn't love to win something anyways!?! We only have a limited number of our necklaces left and I would like to sell out. 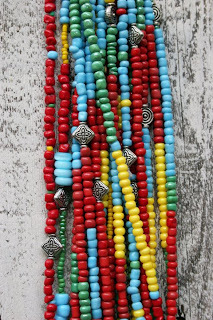 (Oh that would be so nice) So I am going to give away a beautiful African bead necklace. Maybe it will draw some traffic and someone will be so bummed they didn't win and then will feel led to buy. Hey it can happen! 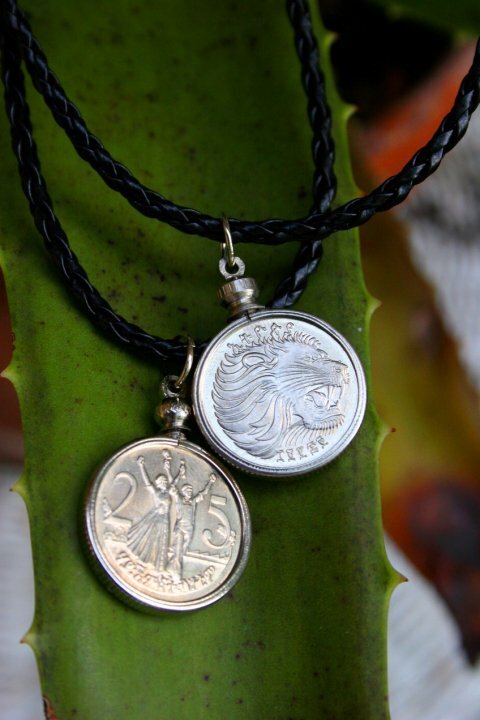 Here are our beautiful handmade fair trade necklaces. Authentic Ethiopian 25 cent coin with a leather braided cord. LOVE these! 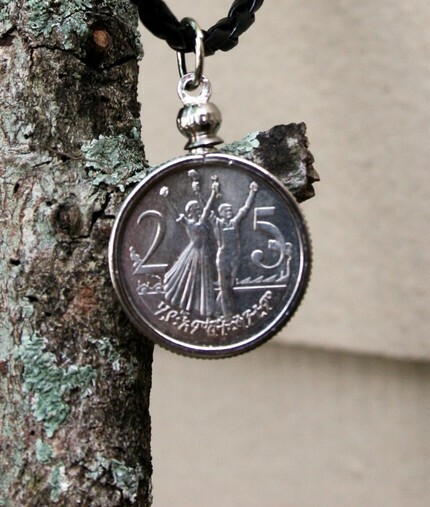 We only have SEVEN SIX FIVE FOUR THREE TWO ONEof these coin necklaces left. Once they are gone, they are GONE!!!! 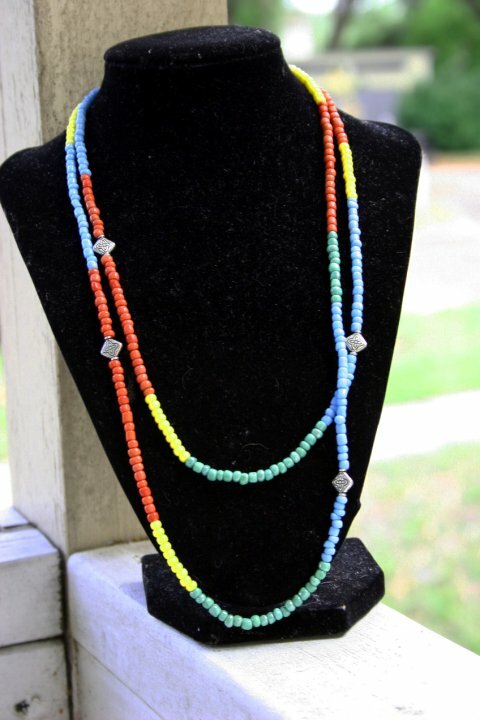 We also have these beautiful glass beaded fair trade necklaces accented with silver pieces. I love this necklace, you can double it around your neck or you can even wear it as a bracelet. These are so fabulous and handmade, so no two are alike. But they are beautiful! We only have a limited supply left. Please make sure you comment and let me know what you did!! WOW!!! That was easy! 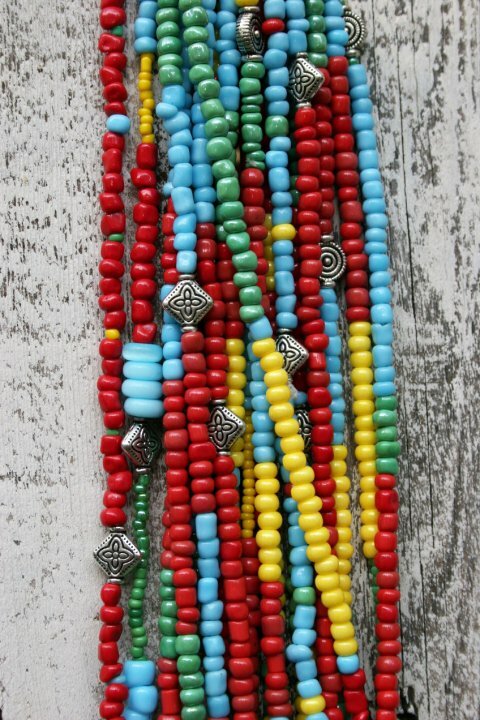 I hope you will help us spread the word and you could win a beautiful glass bead necklace! I will draw the winner in one week, Thursday February 10th!! Thanking Jesus for you and Jon, and grateful to the Lord to be able to spread the word. I can't wait to hug another Maser kiddoe!! 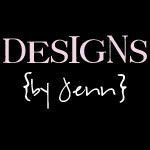 Just facebooked, blogged, and I'm already a follower! Lots of love sweet friend! already a follower, lover of Ethiopian children. love your blog. 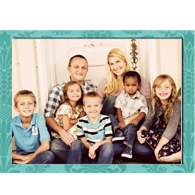 ordered the necklace, prayed for your adoption! Blessings! I became a follower and put this on FB. 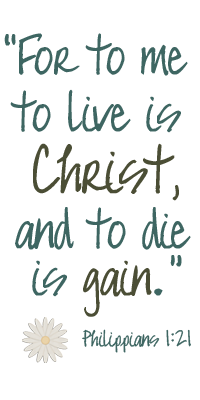 God's blessing on your adoption!! HI Melissa! 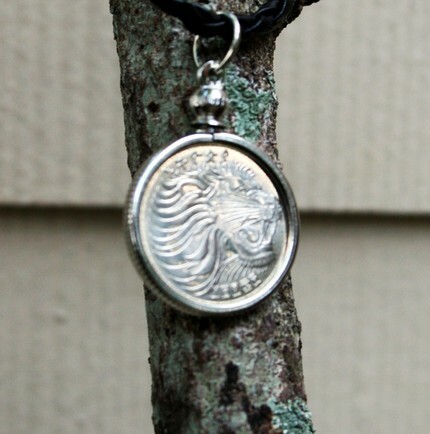 I posted your beautiful necklace giveaway on my blog. Praying that things start to go a little smoother soon! Your trust in the Lord is obvious. His timing is perfect, and He WILL provide...He will because this is His plan. I'll post next week when my giveaway is over! I put it on Facebook! ; ) I love how your rejoice and hope in Him in the things that aren't clear! Praising HIM for that and praying for all the provision you need!!! just posted on FB. praying that your little one is home soon!